- "What's this all about?" Frozen - I'm basically converting some CS+ graphics into 3D, trying to keep them as close to the original style as possible. 2D to 3D = "Another Dimension", if you needed help making that connection. - "Mmkay, but why are you doing it?" Frozen - Because I can. - "THERE MUST BE A REASON!! WHAT IS IT FOR?! I'LL HIT YOU WITH THIS!!" Frozen - Well, I do have something in mind, but you'll have to wait... heh heh. - "NO WAY! TELL ME NOW!! HYYAAAA!!!" - "Ahh! Oops... Hmm? I see something on his computer. Oho! It's the first model! I bet he wanted to post this before I knocked him out during my random mindless rage that escalated very fast for no real reason, being totally uncalled for and completely unrealistic... ... aw well, I guess I'll just put it up for him!" ... "good thing he made one of these first... he's gonna need it." Get well soon, man. Er, regain consciousness soon. Er... yeah. Nice refill station! I'll be interested in seeing where you go with the rest of this. I really don't know anything about 3D modeling, but some of the lines look a bit jagged when the object is viewed at an angle. Is there anything that could be done to smooth out the lines (I'm thinking maybe something that is the equivalent of anti-aliasing for 3D models)? Are you making a Better version of Cave Story 3D, for the PC? and free? And Retro? Good question. There will be a few flaws with the model previews because the modeling program I am using does not use AA, among other graphical enhancements. Basically, AA is done post-modeling; it's part of coding. Actually, there is also another problem with the model in the preview, being that the heart screen should be a source of light, but in the preview it darkens just like the rest of the model. This too is taken care of in coding, so that the screen will look like it's emitting light. 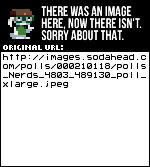 On both the original and high res version, you will notice a sort of antenna. I guess it was confusing because I put the heart screen on two sides of the model, but I didn't want to make 2 antennas because that would not look like the original game when viewed from the front. I did two sides for the sake of in-game use, making it more easily visible for the player from all directions in the 3D world. Are you making a Better version of Cave Story 3D? While Cave Story 3D is in 3D, it isn't what I envisioned a 3D Cave Story would be like. The 3D aspect was purely a cosmetic change that did not affect the game's mechanics (e.g. how Quote moves and shoots). 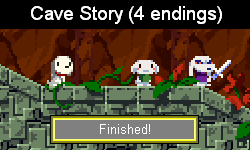 I would not consider what I'm working on to be a better version of Cave Story 3D. Yes, it will be for PC, and possibly for Mac as well. I'm not stupid enough to try to sell this stuff. It will be free. Oh yeaah! I'm sticking as close as I can to what you see with the double res graphics. I would use just the original graphics, but I don't want it to look THAT retro. With 3D, I need double res to make it feel more like the original graphics have turned into 3D. Of course, the original res graphics may swap in on some models if they are far enough away from the camera, because higher res graphics look very bad at far away distances. This is common in 3D games. To my knowledge, this is usually achieved by "mipmapping". And with all the questions more or less answered, I give you something small, yet important... a way to save! Yes yes, very important for both noobs and for those with little time to play. Other than fiddling around in Gmod, I see no purpose then good for these models. 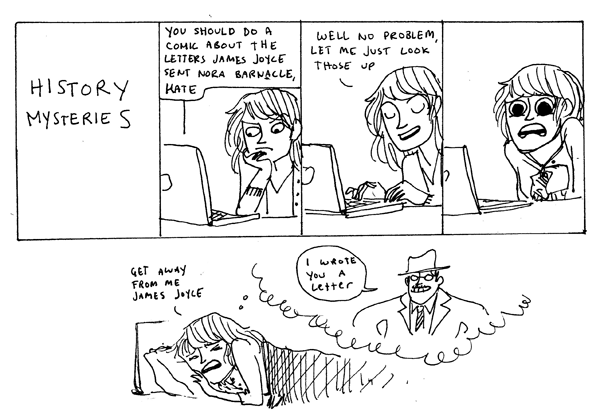 but that's not terribly bad. ......... in context, it seemed more fitting than "HUZZAH!" Putting Balrog there was an afterthought, after I already typed "Oh yeaah!". I was also sad about Balrog saying the wrong thing in game; half of his identity to me was the huzzah. If Balrog happens to be part of this project, or of a future project, I assure you that he will be saying "HUZZAH!" - "That's right! You'd better keep your word, 'cuz if you make him say the wrong thing.. I'LL HIT YOU WAAAY HARDER THAN THE FIRST TIME!!" - "SHH!! Don't give anything away! I'LL HIT YOU!!" Frozen - Gah! Ok ok ok! Sheesh. Oh, there's a purpose, believe me. Sweet. I feel more knowledgeable now. Thanks! Also, the save disk looks pretty legit, too. and possibly for Mac as well. You have possibly made me a very happy fellow. I've heard you mention this thing once or twice before, nice to see a little bit of content! Judging by how long I've been hearing about it, I'm guessing this is just the tip of the iceberg of stuff that you've already got going. Looking forward to what else you have to show off! Isn't what naruto says in the dub "believe it! ", not "believe me"? Also who even watches that show. Awesome job on refill station and save point! Thanks! But, who said anything about "first person"? It could possibly be third person?? As you might guess from the pic, I was taking the start point room and was adding a 3rd dimension to it, not like Cave Story 3DS did, but I was actually going to make a room that you could fully explore 360 degrees. The idea is very much like what I'm doing with the sprites, but with the world instead. The plan was only to make the first room, because I at least knew that it would be way too much work to redo the entire game world. What I did not realize is that it takes a very long time even just trying to remake the first area! It's far easier and quicker to make something original, so I'll be dropping this small detour of the project and I'll be moving on with the bigger picture. 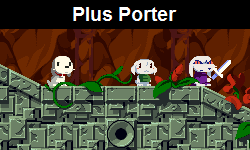 There are a few other areas in Cave Story that I COULD do this with, but there really isn't any point. Looks like your doing a doom mod. It might look like it I guess, but that just shows a very incomplete model that doesn't give any idea as to what the final product was going to be like, and there is no connection to the doom engine whatsoever; it's just a model. I'll be using Game Maker Studio for this project, and for any future projects, unless I move on to something like Unity3D (except I don't think I will, because the free version doesn't do what I want and GMS does). I'm especially excited because I'm hearing that beta shaders just came out today for GMS, which means 3D in Game Maker can be perfectly professional looking. It's 3D physics that people must still code themselves, but it isn't too hard to make semi-realistic physics. Anyway, I'm trying not to create any posts without having something to show, so I'll post again when I've got something new. The next model is going to either be Quote or a bat, depending on how things go. Is this ever going to be a Game? Alrighty, got a little update. I've been working on Quote's body. You won't be able to tell at this stage of development, but Quote's proportions are super close to the original Cave Story. If you don't see it, wait for me to take away the crappy "chunky" lighting, add a head, and texture it. The texture usually gives certain form and detail to the model, so simply looking at the mesh can make it a bit difficult to envision the final product at times. With the original sprite, his body takes exactly 8 pixels from the neck to his feet (16 pixels for the double res version, obviously). For the body width, I had to take an educated guess. 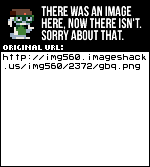 I looked at cave story 3D artwork along with the original sprites to judge what seemed right. For the most part, the proportions are all set, but I will tweak things as necessary when I get the arms and head modeled. It's 272 tris so far, if anyone cares about poly count, but I don't expect there are many people here who work with 3D models (?). A very low poly character today would be between 500-1000 tris, and I expect to come up with a count between there when the model is finished. I know that the shoulders might need some tweaking, and the shoes, and the crotch, but I need to make more of the model to get a better idea before I know for sure. This is my first body I've modeled, so I'm learning a bit as I go. One last thing: If there ARE any people here that know about 3D modeling, they would suggest lowering the poly count on the legs to about 5 or 6 sides on a loop and the arms to 5 or 4. BUT, since Game Maker lacks vertex animation, I have to go about things in a rather unorthodox way, so I will be making a model out of jointed parts instead of having one model that bends. Shaders can accomplish vertex morphing/bending, and beta shaders were just released for the newest Game Maker Studio beta, but I need to look into those and I don't know if they are going to be reliable at this point, so for now I'm going with what I know works. If it weren't for this, I would lower the poly count on the arms and legs. This is also the reason why the model isn't designed for bending at the joints (in case anyone noticed that), because it will not be bending vertices at joints. If you don't follow, just know that I know what I'm doing. At least in this case. - "You'd better know what you're doing!... DON'T SCREW QUOTE UP OR I'LL HIT YOU SO HARD THAT I'LL SEND YOU ALL THE WAY TO THE ISLAND!!!" Frozen - *sigh* ... wait, you aren't on the island? Wait, that means..where am I? ... GAH! I'm HERE?!?! What if-! - "Quiet! Sheesh, I need to keep this stick ready at all times or he might just get a chance to ruin the whole thing! .... hmm, maybe I should use the baseball bat next time? Or something metal? .. oh, no-no-no, I might kill him, and that wouldn't be very good 'cuz then he wouldn't be able to finish this. Better just stick with the stick.... ooooohh boy, I did NOT just do that... ok, yes I did, heh heh.